Morbid Anatomy: Help Keep "Oddities" on the Air! Help Keep "Oddities" on the Air! You can watch! 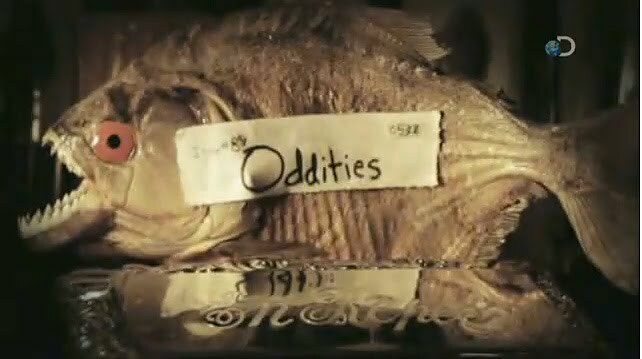 Oddities airs on the Discovery Channel on Thursday nights, from 8-9 PM; At 8:00 PM, catch a screening of last week's episode; stay tuned for a new episode at 8:30. Lodge a complaint to Discovery Channel asking for commercials and better promotion! You can do so (as I just did!) by clicking here. Spread the word; if you like the show, tell your friends! "Friend" them on Facebook! This is also a great way to keep apprised of the latest "Oddities" and shop information. You can find them on Facebook by clicking here. 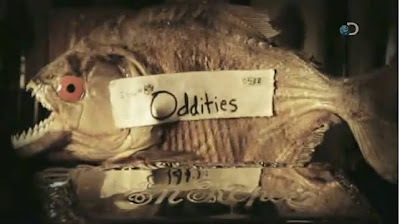 Come to our "Oddities" screening party on December 9th at 8:00 PM! You can find out more details about that by clicking here or here. Thanks everyone for your help in saving this new and wonderful television show! Done! and I do hope it helps to keep this weirdly fun show going...I really enjoy it. We did watch last night but it was a bit like the Pickers. Nice stuff tho. We have been seeing commercials/Ads for your show in our area for the past three weeks. Is it a regional issue based on local cable companies? And we LOVE the program! Love the show! Stumbled upon it by accident, luckily on the first night. No commercials in this area. Did as you requested and sent off comments to Discovery. Love your shop! Gosh that looks good, I hope we get that over here in the UK at some point! I love Oddities!! I emailed Discovery to ask for more commercials - thank you for the link. We must keep this show on the air!! I am in LOVE with this show. Its very interesting and educational, and I love the slew of interesting characters on the show. Not to Mention Ryan the Eye Candy.